Although not the result needed to propel its promotion chances, North Geelong Warriors held fellow contender Moreland Zebras to a 0-0 draw last week at home to keep the final three rounds exciting. 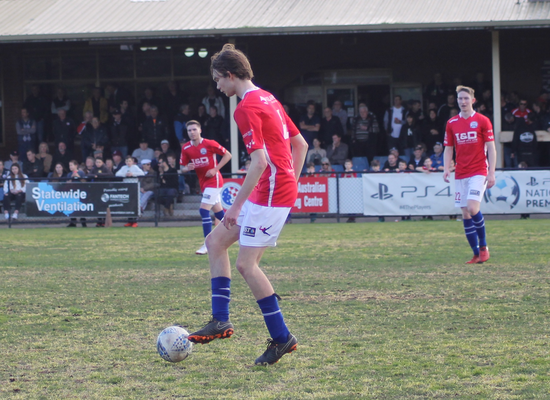 The result saw Altona Magic officially crowned NPL2 West champions, with Moreland, St Albans and North Geelong unable to close the gap of 11 points within the remaining rounds. With the week off for the league’s catch-up round, the opportunity to refresh and set up for a strong finish to 2018 presents itself. Coming up in a fortnight will be Sunshine George Cross, which has been rooted at the bottom of the ladder all season. Georgies has started to claw away at results in a do or die effort to avoid the drop, notching it’s second win on the trot over Ballarat and closing the margin to four points between the two sides in the process. The Warriors will need to be at their best to fend off that sort of momentum, knowing that Georgies will throw everything at them. They will need to do so without forward Darius Madison who received a second yellow last week and a proceeding red, meaning a one-week suspension at least. It will provide coach James Coutts with a selection dilemma after seeing Madison turn the half way mark of the season with regular scoring and assists. On the other end of the park, the defensive strengths have seen the Warriors not concede a goal for the past three rounds, which might well be Georgies undoing if it continues. In under-20 action a controversial goal cleared off the line was awarded by the referee and ended up seeing the side finish with a 2-2 draw after goals from Jesse Krasic and George Ellis.